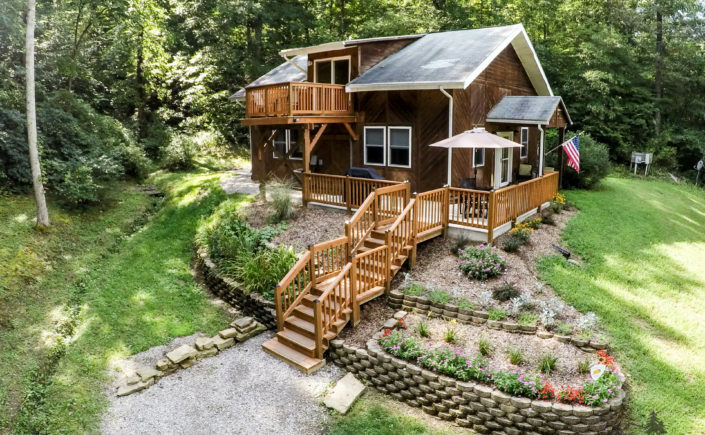 The Cottage at Marsh Hollow is a lovely home-away-from-home providing the perfect location for a family vacation, get-away with friends, or romantic weekend (or weekday!). 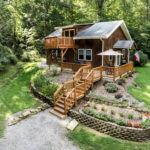 The two story, cedar-sided cottage accommodates four guests, and has central air conditioning and heating. 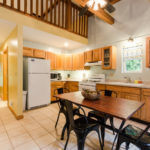 Beautiful interior wood doors, kitchen cabinetry and decorative beams create a rustic, yet elegant atmosphere. 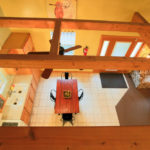 The first floor includes a full kitchen and roomy living room. 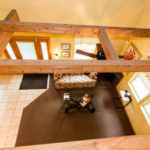 In addition to the comfy furniture, the living room features an HDTV, Blu Ray player, soundbar and a cheery electric “wood” stove. 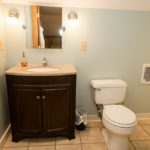 The Cottage has Internet/Wifi with access to such popular apps as Netflix and Pandora via the television and Blu Ray player. There is also a small collection of movies available, or bring your own to enjoy. Please note that neither satellite nor broadcast television is available at The Cottage. 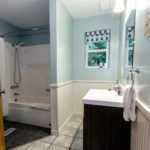 The first floor bathroom has a full bath/tub combination. 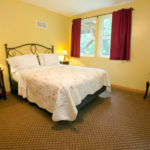 The bedroom on this floor has a queen bed and four large windows that allow beautiful views of the surrounding forest. 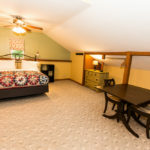 Upstairs, guests will find a small deck, a large loft bedroom with queen bed and its own bathroom (shower only upstairs). 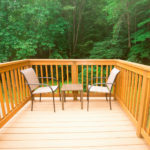 Outside, a large patio wraps around the front of The Cottage. 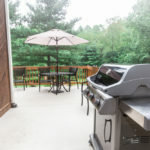 The patio includes seating, a dining set and gas grill. 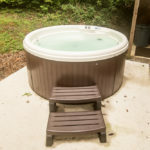 At the rear, the hot tub offers a respite after a wonderful day of hiking, horseback riding, ziplining or shopping in the Hocking Hills. 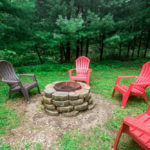 Build a camp fire in the fire ring with free firewood, and bring along the dog – The Cottage is pet friendly. 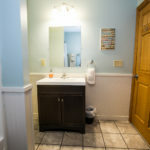 Check out The Cottage’s great reviews on TripAdvisor, but book through this web site to avoid booking fees charged by other sites.